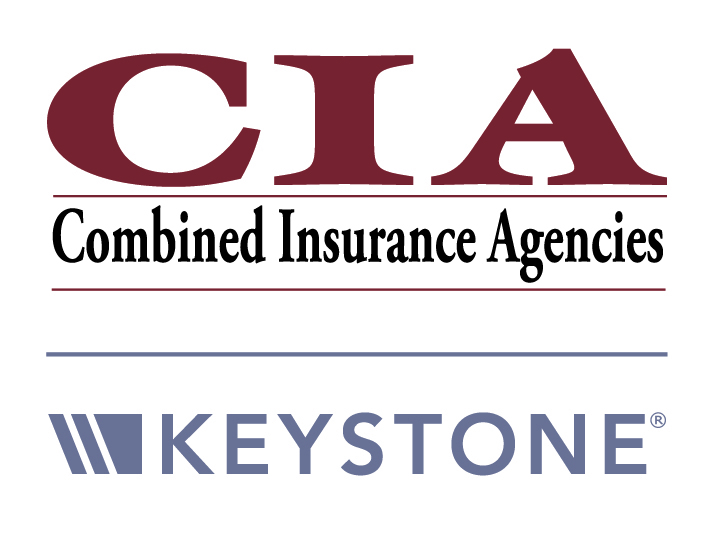 Combined Insurance Agencies is dedicated to providing you with the right insurance products, ensuring you are covered when you need it. No matter your situation, our dedicated staff of professionals will work with you to assess the risks and provide appropriate solutions. You will have peace of mind knowing that your insurance fits you. As an independent agency, we save you time and money by shopping the market for you. We represent many insurance companies, providing you with a broad range of options. Whatever the day brings, you will feel protected. We want to safeguard the home that offers you sanctuary, the car that sets you free, the boat and recreational vehicles that help you relax with your family and friends. Enjoy the things you own – we will be sure you are covered. Protect your automobiles, trucks, antique or classic autos, motor homes, campers and travel trailers, and motorcycles. Your home is often your most valuable possession. It is important to insure the dwelling and outbuildings for what it will cost to rebuild, to insure the contents at the price to buy them new again, and to include significant personal liability protection in case of lawsuits. Homeowners insurance covers primary and secondary homes, small/hobby farms, condominiums, rental dwellings and renter’s insurance. You may wish to supplement your homeowner’s policy for “scheduled items” if you own valuable jewelry, collectibles, antiques, artwork, guns or computers. A Lakefront Living Endorsement also covers items such as shore stations, sea walls, and damage due to erosion. Whether you own a powerboat, sailboat, or personal watercraft, we offer a wide range of insurance for physical damage and liability protection. Coverage options include replacement cost on newer boats, towing and emergency assistance, pollution liability, and coverage for older or faster boats. A personal umbrella policy provides an additional $1 Million or more of liability protection for bodily injury, property damage, and personal injury lawsuits. The insurance policy also includes legal fees for your defense. An umbrella policy is designed as additional protection for people who have significant personal assets or an active life style. Common areas of concern can include the added risk of young drivers, swimming pools, boat and recreational vehicle ownership, and volunteer participation in community and civic groups. Losses due to flooding are not covered by a homeowner’s insurance policy. If you live in a known or potential flood plain, we can offer coverage for your home or rental dwelling through the National Flood Insurance Program with Auto Owners Insurance Company. As life presents you with new needs and circumstances, we’re here to listen and recommend updates in an ever-changing market. We will help you evaluate and determine the coverage that fits you best, whether for individual, family, or business protection. Life Insurance. Life insurance provides important financial support for loved ones when you are gone, and it provides peace of mind knowing they can carry on. The many kinds of life insurance can generally be classified into two categories: term or permanent. When choosing life insurance, there is no choice that fits every situation. That’s why we want to understand your needs, whether you are providing for your beneficiaries’ income, education, shelter, debt relief, estate protection, or something else. Our professionals will help you determine which solution is right for you. Medical Insurance. Serious injury or illness can happen any time. Medical cost can be very high; in fact, they are the leading cause of personal bankruptcy. To protect you and your family’s well-being, we can help you find the best coverage for your situation. We stay informed on coverage details with a number of insurance companies and we stay abreast of legislation surrounding Health Care Reform. We will communicate with you in layman’s terms so you can understand your coverage alternatives. Disability Insurance. If you become disabled due to illness or injury and are unable to work, who will provide for you and your family? With disability insurance you can guarantee an income to meet your monthly expenses. Policies can be tailored to meet the needs and risks of different occupations. Long Term Care Insurance. The average cost of nursing home care is $6,700 per month and the average stay is more than three years. Long term care insurance can help provide professional care in an excellent facility. We provide customized insurance advice and the right insurance coverage to help your business grow in good times and bounce back if times are bad. We will ask the right questions and offer guidance to help you find the coverage you want. We can be a continuing partner and problem solver in your operation. Commercial Auto. If your business owns vehicles you likely need commercial auto insurance. Policies cover standard vehicles like cars and pick-up trucks, but can also cover specialized vehicles such as dump trucks, snow plows, utility vans, limousines and many more. Loss of Business Income. Loss of Business Income insurance (aka Business Interruption Insurance) covers lost income and ongoing expenses if your business is forced to close for a period of time due to a fire, windstorm, equipment breakdown and other perils. Liquor Liability. If your business sells alcohol Michigan law requires that you carry liquor liability insurance. In the event of a lawsuit liquor liability insurance provides legal fees for your defense, and coverage if there is a judgement against you. Cyber Security Liability. Cyber Liability provides coverage for security or privacy breaches of customer information, regulatory actions against your business, loss to data, loss of revenue and loss of reputation. Most cyber victims are small to mid-sized businesses. Cyber liability policies include regulatory defense, breach notification, IT forensic services and business income losses. Flood Insurance. Flood Insurance covers damage to your building and contents resulting from a flood. Your standard commercial insurance policy does not otherwise cover flood damage. Bonds. A surety bond is a contract among three parties that assures a task will be completed as agreed. Surety bonds include bid bonds and performance bonds. Other types of bonds include license and permit bonds, court bonds, fiduciary bonds and more. Directors & Officers Liability. D&O provides protection for officers and board members in response to a lawsuit concerning their management of the organization. We regularly work with non-profits and homeowner associations to protect these groups and their community volunteers. Commercial Property. Commercial Property insurance pays for repair or replacement of buildings, contents, and equipment damaged by fire, windstorm, hail, vandalism, theft, water damage and more. Commercial General Liability. Commercial General Liability insurance protects your business in the areas of bodily injury liability, property damage liability, and personal injury liability. The insurance also provides legal fees for your defense. Employment Practices Liability. Employment Practices Liability insurance provides protection for an employer from claims of wrongful discharge, discrimination, and other alleged wrongful acts. Professional Liability. Professional Liability insurance, also known as “Errors and Omissions” (E&O) insurance provides liability insurance for claims of professional negligence. Workers Compensation. Michigan law requires employers to carry workers compensation insurance for their employees. The insurance pays medical bills and loss of wages for a work related injury or illness. Commercial Umbrella Liability. A Commercial Umbrella Liability policy provides an added level of liability insurance above your base policy. Commercial umbrella policies are commonly issued with added liability coverage of $1 million to $10 million.